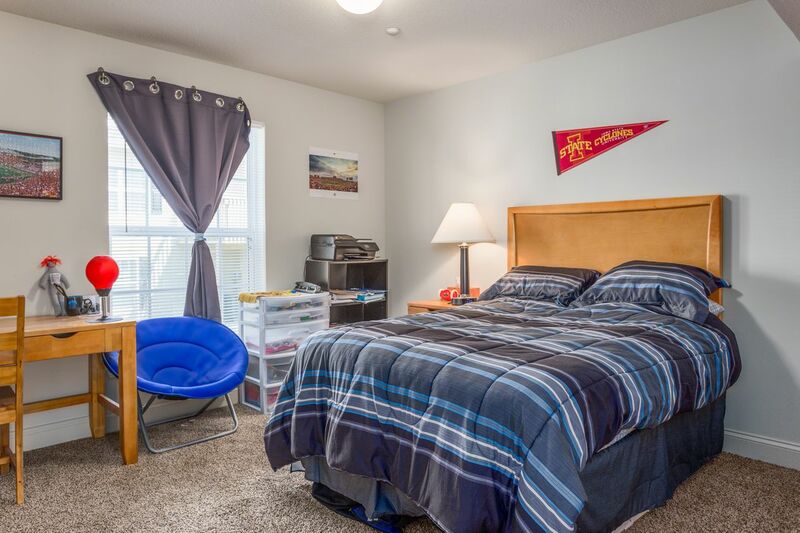 Your student housing is a four-minute drive away from Jack Trice Stadium, so football fans can pull on their cardinal and gold and support the Cyclones on game day. If shopping’s more your thing, it’s an eight-minute drive to shops and cafés on Main Street, and just 10 minutes to North Grand Mall. Take a break from your studies and clear your head with a run through Brookside Park, then catch up with friends for a BBQ dinner at Hickory Park. 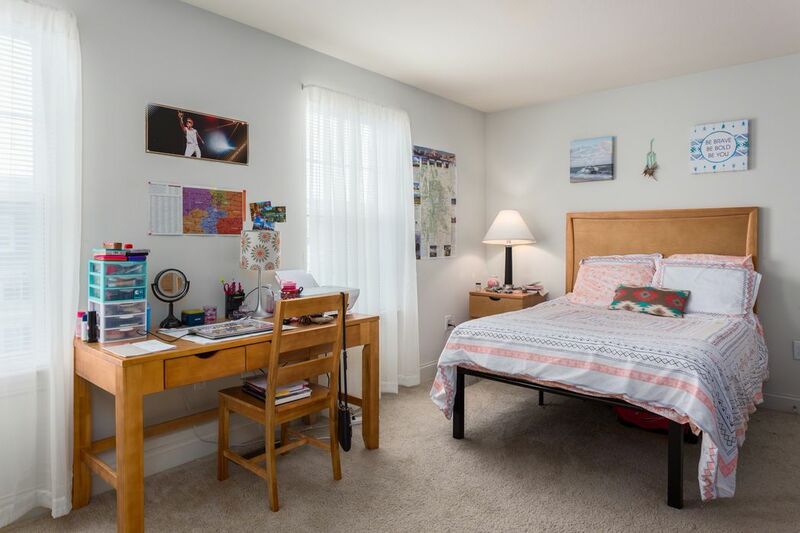 If you’re looking for Iowa State University accommodation, you’ll find everything you need at Copper Beech at Ames. Reach early morning classes with ease when you drive to the commuter lot in five minutes, or use the nearby bus stop and take the 10-minute ride to class. 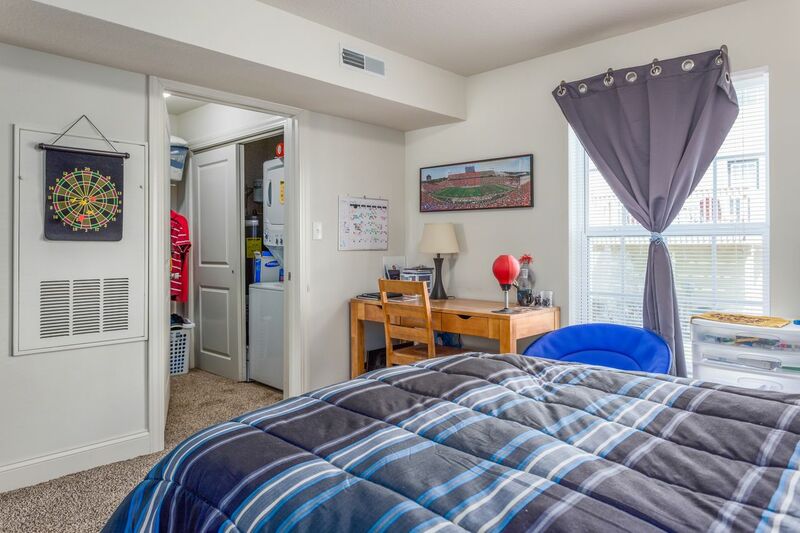 After lectures, head back to your spacious townhome and relax in your private ensuite room. Copper Beech at Ames provides internet (you just have to provide the router) so you’ll always be connected, or you can work with friends in the study room. It’s easy to manage your money because water and sewer costs are included in your rent — as well as $25 electricity credit per month, to keep costs down. 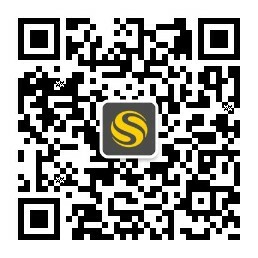 Take a break and work out in the fitness center, enjoy a free tanning session or, in summer, swim in the pool. Later, grab a free coffee from the Bistro and head to the clubhouse or Tavern game room to check out the latest community event. Wir haben leider keine Unterkunft gefunden, die deinen Wünschen entspricht.Alle Privatzimmer in Copper Beech at Ames ansehen.